Mission – The Magnet Academy’s purpose is to increase student interest and ability in STEM education to be college and career ready. The academy uses the standard district curriculum with enrichment and expansion to emphasize science, technology, engineering and mathematics. 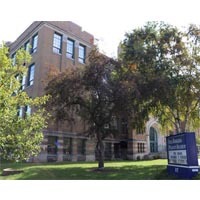 Fred Rodgers Magnet Academy (FRMA) is located in Aurora, Illinois, about 41 miles west Chicago. 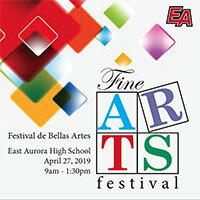 Aurora is the second largest city in Illinois and FRMA is one of 21 schools in East Aurora School District 131 – the first public school district in Illinois — established in 1847. FRMA has approximately 450 students in grades 3 through 8. The Magnet Program began in 2008 and the District opened a new building at 157 N. Root Street in August 2013. The FRMA building, which has formerly housed Madonna High School, Aurora Central Catholic High Schools and was most recently a Community Center for City of Aurora youth programs and other functions. The building was dedicated the Fred Rodgers Community Center in 2009 to honor the City’s former Youth Services Director. The Fred Rodgers Magnet Academy is focused on math, science and technology. Technology is integrated throughout core and elective courses. Electives include robotics, horticulture, digital literacy, food science, history of engineering and drama. A $660,000 grant from the Dunham Fund allows every student to have a new laptop to use at school and home. 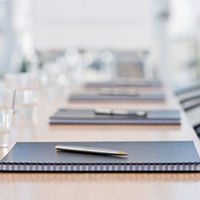 This lends to a dual curriculum offering the expanded learning opportunities available on the world-wide-web. The Magnet Academy is textbook-free, with lessons taught via computers, Smartboards, and other technological devices. The Fred Rodgers Magnet Academy provides a unique educational opportunity for students interested and talented in math, science, and technology.